Most of my books are translations of modern Korean literature. They are listed on their own page. The French writer and Nobel Literature laureate J. M. G. Le Clézio has harbored a keen interest in Korea that not only prompted him to learn and master the Korean language on his own but also inspired his new novel. Bitna: Under the Sky of Seoul is Le Clézio’s portrait of Seoul—its people and its places—rendered with an intimate familiarity and attention to detail that few non-Korean writers, not to mention non-natives of the Seoul, could replicate. It is a story of life in the city as it is being lived today. The eponymous main character, Bitna, is a nineteen-year-old in her first year at university, and a recent transplant to Seoul from Jeolla-do, where her parents work in the fish market. As it was for Le Clézio, the city is for Bitna an unfamiliar, crowded, and lonely place. By chance, Bitna gets a part-time job telling stories to Salome, a woman with an incurable illness who now spends her days at home, waiting to die. Bitna’s stories open up a world of adventure for both Bitna and Salome. Bitna tells Salome five stories. At a certain point, the reader will discover that the stories in Bitna are intertwined, and that they resonate in real ways, whether their substance is true or imagined, fact or fiction. 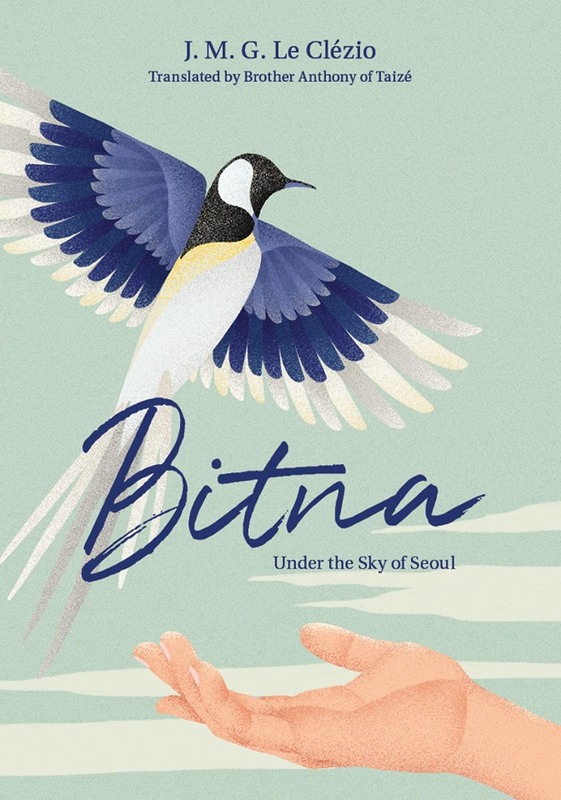 They are stories that reflect the intersecting experiences of all who live, like Bitna, under the Seoul sky. 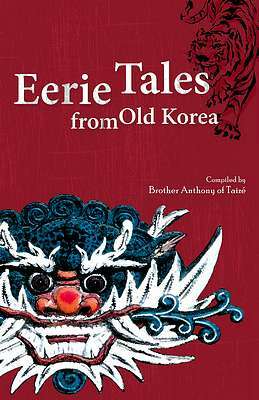 This anthology is a compilation of Westerners’ accounts of their visits to Korea, originally published in books or newspapers before the country opened its doors in the late nineteenth century. 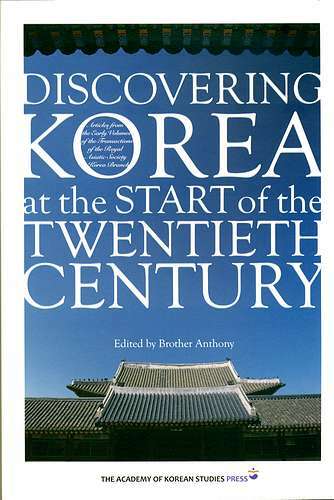 The opening of Korea made it possible to explore the country in detail and write detailed accounts. Prior impressions were garnered mostly from brief visits to remote islands along the coast. The accounts published here are mainly anecdotal, and contain many generalizations. 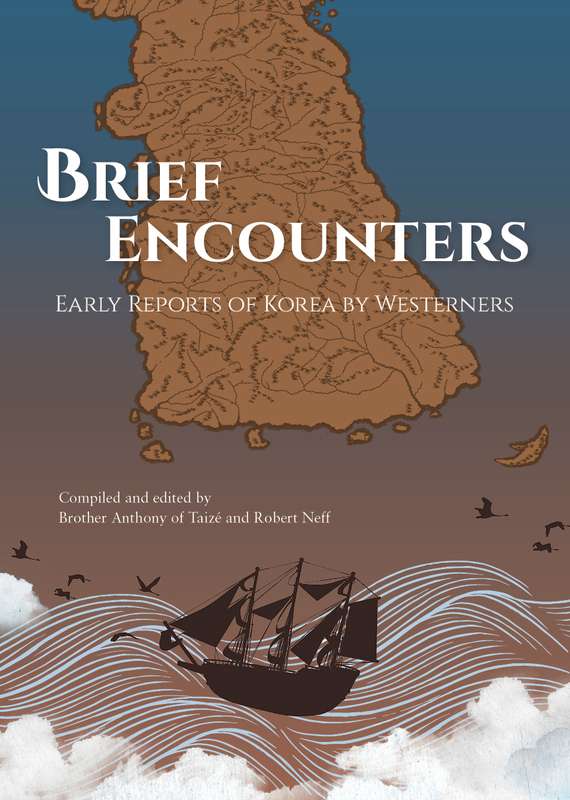 However, the accumulated impressions of these early encounters surely influenced the perspectives of later travelers, and help explain the overwhelmingly negative image of Korea that Western governments harbored at the time. 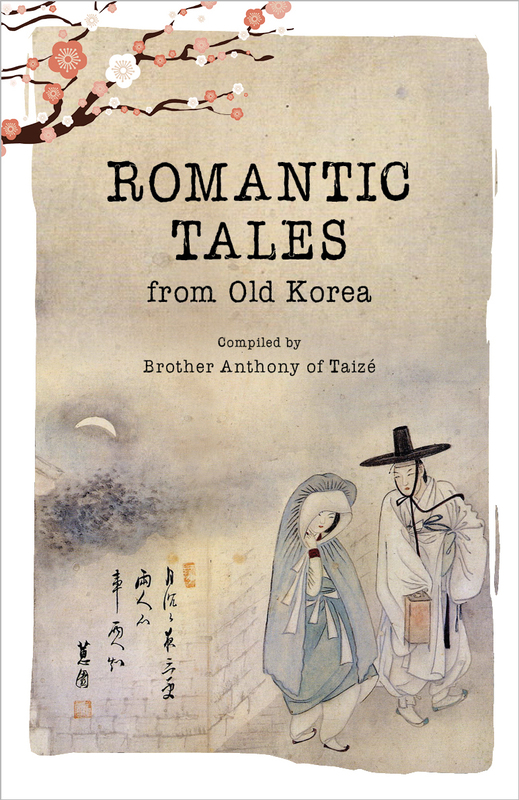 Order from Seoul Selection or the RASKB. .
Old Korean love stories, 3 short ones translated by James S. Gale and 2 longer ones originally published in French in the 1890s by or in collaboration with Hong Jong-U. The first is the story of Chunhyang, the second a version of the tale of Sim Cheong. Order from Seoul Selection or the RASKB. Delightful old stories translated by Homer B. Hulbert and James S. Gale over 100 years ago and republished to mark the 150th anniversary of their births. Order from Seoul Selection or the RASKB. This book is an expansion of the contents of my online tea pages, with a lot of photos. It can be obtained from Seoul Selection, the publishers. See a very kind review of it by Lauren Deutsch in Kyoto Journal. 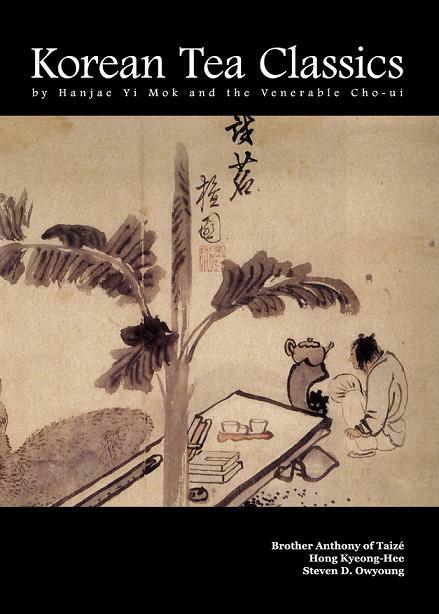 This richly illustrated book contains the Chinese text and translations of 3 fundamental texts of Korean Tea culture: ChaBu, Rhapsody to Tea by Hanjae Yi Mok; ChaSinJeon, A Chronicle of the Spirit of Tea and DongChaSong, Hymn in Praise of Korean Tea by the Venerable Cho-ui. It can be purchased online from the publishers, Seoul Selection. The first volume of the RASKB's journal Transactions is dated 1900 and the papers selected for this volume are taken from Volumes 1 through 8 (1917), there having been a hiatus in the Society's activities 1903-1911. The Preface traces the origins of the RASKB in the context of the events of the period and identifies the authors of the papers reprinted. 1) Classical and Biblical Backgrounds to Western Literature. 2) Literature in English Society before 1660: Volume One, The Middle Ages. Seoul: Seoul National University Press, 2002. See also: Supplementary texts.These are texts, extracts from texts, plot summaries, etc for use in combination with the three volumes. 1. The Practice of Stoneware Glazes: minerals, rocks, ashes. By Daniel de Montmollin. Paris: La Revue de la Ceramique et du Verre. 2005. 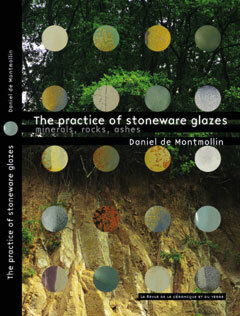 This is a practical guide for the working stoneware potter interested in experimenting to develop glazes. It is based on 50 years of experience in the pottery workshop at Taize and the French edition has long been a classic for potters in the French-speaking world. A series of photos of pots by Brother Daniel is available in my pages. An introduction to him and his work can be found on the index page for A Secret Shared (below). 2. 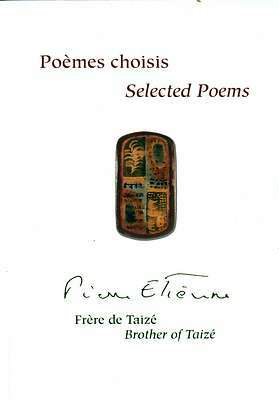 Selected Poems, Pierre Etienne, Taize, 2013. This is a bilingual edition of a selection of poems by the late Brother Pierre Etienne. The full English text of all my translations of his poems is online here. Daniel de Montmollin. A Secret Shared. An essay with poems, meditating on the potter's craft. The author is a Brother in the Community of Taize who has worked as a stoneware potter for almost 50 years. Daniel de Montmollin. By Water and Fire. A series of fables and poetic meditations inspired by the author's life as a stoneware potter. Some 100 poems translated from French. The poet, one of the senior brothers in the Community of Taize, published a variety of volumes of poetry during the 1960s, 70s and 80s and his work earned him the admiration of many. Francois Varillon. A Suffering God. A meditation on the possibility of faith in God in the face of the reality of suffering. The author was a French Jesuit who died some years ago. Translated from the French by Brother Anthony. These versions, designed to be sung to the music of Fr. Gelineau, were first made some 20 years ago and published in England by a now extinct press.